Josiah Thomas Anderson, my first nephew, was born one week ago today; 10th March 2010 at 5:48pm. 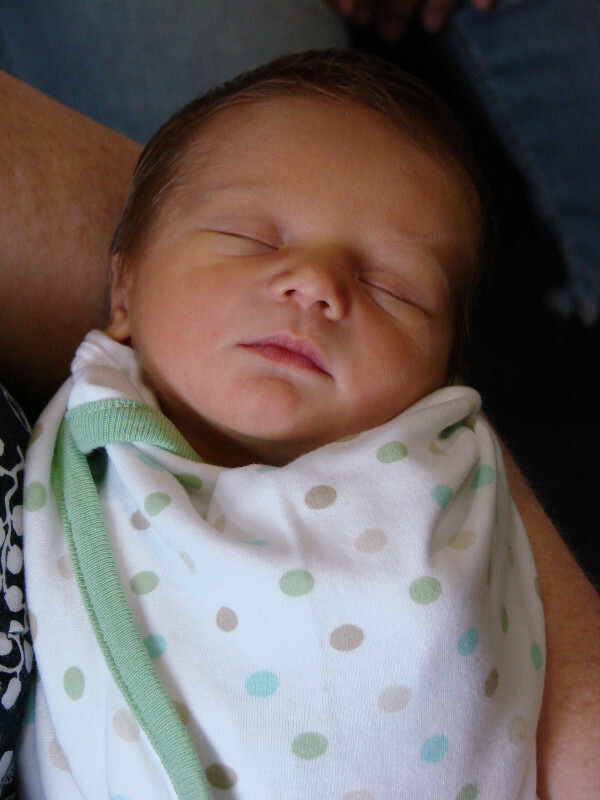 He weighed 3.3kg (7lb 5oz) and was 48cm long, born to Stephen and Megan Anderson. A friend then suggested buying him a blanket with a panda embroidered on it. I liked the idea, so bought a nice soft blanket and had a panda and Josiah's name and date-of-birth embroidered on it. Steve and Meg loved it. It's a single bed size so should last him for a while. I'm thinking about setting up a website for Josiah so Steve and Meg can keep family and friends updated without having to send millions of emails. If it doesn't happen, I'll hopefully be posting about some of Josiah's milestones here.